“I want your cheeks to glow like these apples” my mother told me when I was recuperating from a bout of typhoid as an eleven year old. She was pointing towards the crate of fresh and juicy apples that she had specially ordered for me from Kinnaur in Himachal Pradesh which produces some of the best apples in India. Those were the early 90’s and liberalization of policies was just being implemented in India. This meant that produce and goods from other countries were not available easily and people had to rely more on seasonal and local produce. This is a far cry from the markets today, especially in big cities where the markets are studded with produce from all over and one has to look for local produce. Particularly apples! One can see apples from New Zealand, Australia and other countries but good seasonal Indian apples are hard to come by! 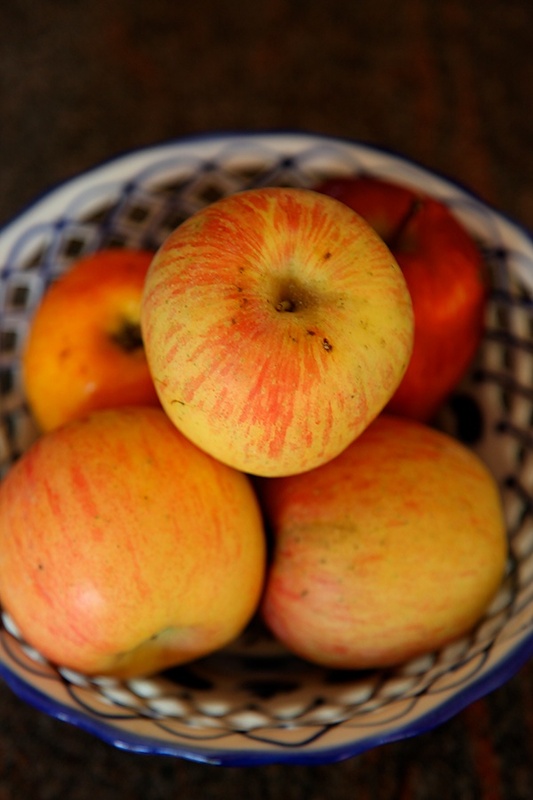 I have a definite liking for apples from Himachal Pradesh in India. 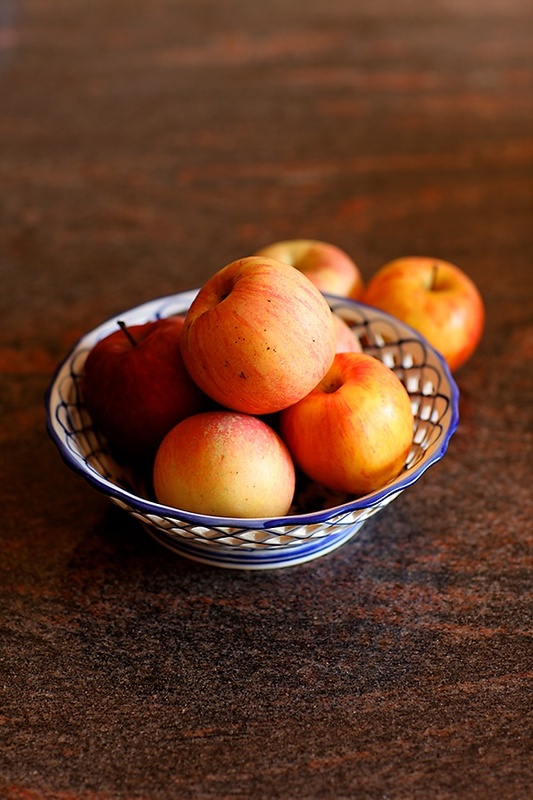 It could be because they are local and seasonal, it could be because of their sweet and succulent flesh or it could be because of the memory of my mother pampering me with these apples while I was recuperating, making it one of my childhood food memories. I do not know the reason! But, what I do know is that I love these apples, love to snack on them and also make this cake with these apples. It is quite ironical that I’m writing about this cake now as this was one of the earliest cakes I made when I began to bake. Made from a recipe scribbled on a yellow paper in my possession I made this cake for my parents 25th anniversary as well. As I wanted an elaborate icing for the occasion, I skipped the glace icing and took it to the neighbourhood bakery where the baker/owner beautifully iced the cake for me! One of the joys of small city dwelling I guess! You could use any variety of apples to make this cake. 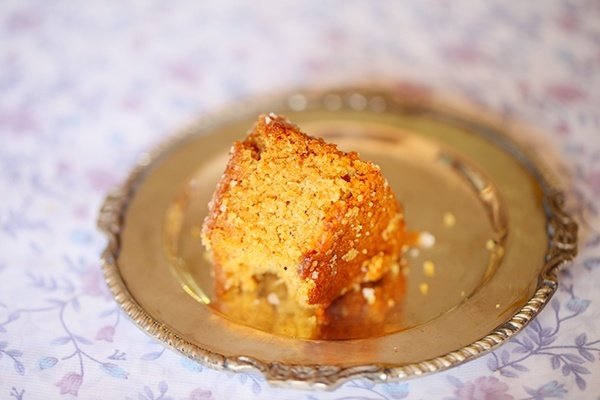 The addition of spices make this a warm comforting cake. And the lime glace icing gives a nice tang that complements the soothing flavours quite well. You could serve this cake plain, with the lime glace icing or even with an elaborate icing for a special occasion. And this serves well as a snack cake or even as a dessert. And when this cake is served warm with a scoop of ice cream on the side, it is sheer joy to the palate! To me, apples and this apple cake will always remind me of comforting flavours, my mother’s unconditional love and the heady happiness that comes from successfully baking a cake for your loved ones. You can replace the plain flour with whole wheat flour. 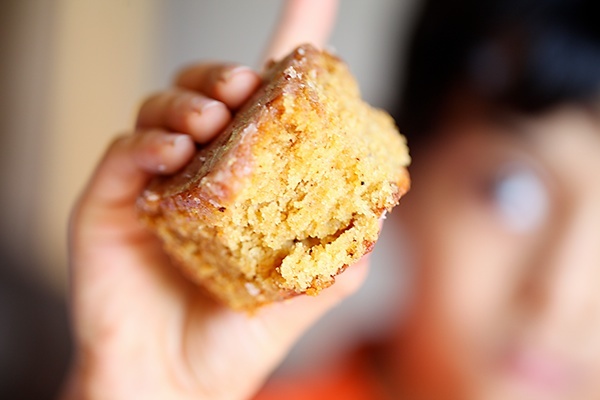 Although the cake would be dense and crumbly, it would taste great! Grease and line a 7” round cake tin. Peel the apples, core and chop them up. Add 2 to 3 tbsp water, cover and cook until soft. Puree the cooked apples in a blender until smooth. You should get about 3/4th cup apple puree. In a bowl mix the plain flour, baking powder and sieve once to make the mixture uniform. In a large bowl, with a whisk or hand blender or in a stand mixer, cream the butter and sugar. 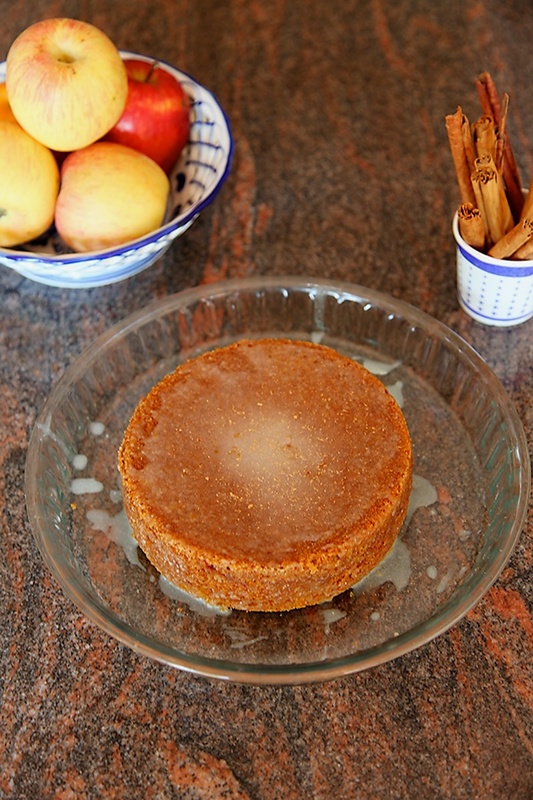 Stir in the soda, the nutmeg powder and cinnamon powder into the warm apple puree and mix well. Spoon the apple puree into the butter and sugar mixture. Put in the sifted flour and beat for 3 to 4 minutes until the mixture is smooth and there are no lumps. Place the cake batter in the prepared tin and bake for an hour or until a skewer comes clean. 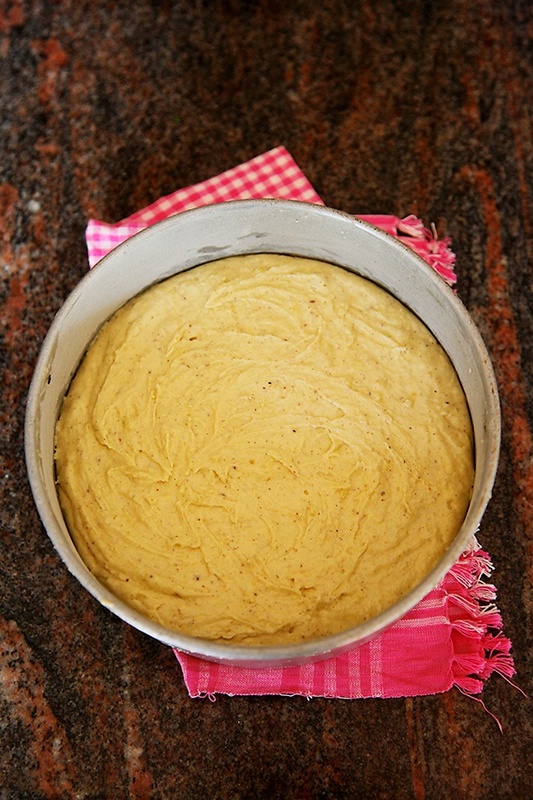 When the cake is baked, remove from the tin and allow to cool. 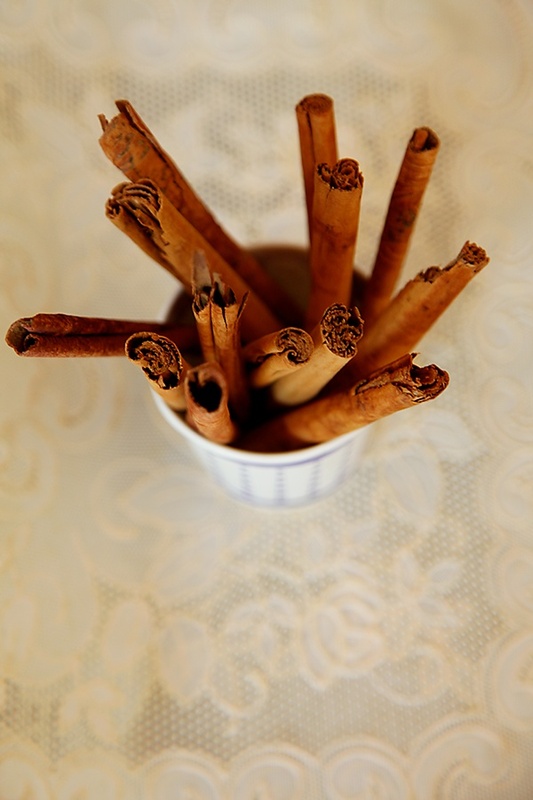 If doing the Lime Glace Icing, then spoon the icing over the cake and dust with cinnamon powder. In a bowl put in the icing sugar. Stir in the lime juice and hot water and mix with a spoon until smooth. Use more water for a thinner consistency and more sugar for a thicker consistency. Seems like an interesting recipe. Somethings gone wrong and the recipe is not uploaded properly. Request you to look into it please. Rashmi: It looks fine from my end! Do you think it could be any browser issue? Thanks Anushruti. Must have been a error at my end. Apologies. Work? I am grain free..and do not want GMO flour. Thank you. Hi,luv ur blog-but i wish u wd give oil options instead of butter for those of us with health concerns! padmaja: Unfortunately one can't pin my photos due to a setting problem. Will work on it though. Sorry for the trouble. Olivia: I think it should work with coconut flour. rohini: There are lots of cakes with oil in my recipe index. Feel free to look around and try. Nalini: I'm not sure I'm familiar with what you are talking about. Will definitely try if I come across it. http://www.mytaste.in is a search engine that collects food blogs. We already have over 800 blogs and if you join us you will take benefit from the traffic that we are sending to your blog. 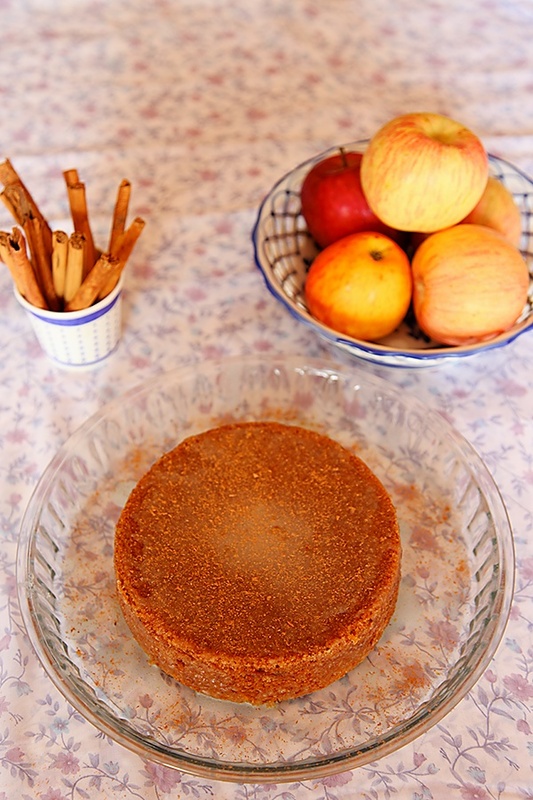 I tried to bake this cake few days back and it tasted awesome.. the flavour of cinnamon and apple complemented well! Neha: Great to hear that! Jus wanted to know that which brand baking soda n powder u use…… as the cakes I tried from your site were good but they have a slight bittet or I must say not so good taste ad compared to cakes made with egg…..I m sure its hecause of these teo ingredients… I use weikfield…. pls suggest. Have made the required changes. Thanks! i tried this cake,one concern,the cake looked well done,while still hot when i cut it,the upper half had nice texture,while the lower half was dense,did not have the the light texture,i did use little more apple puree that mentioned in the post,should i try in bundt pan for better texture? 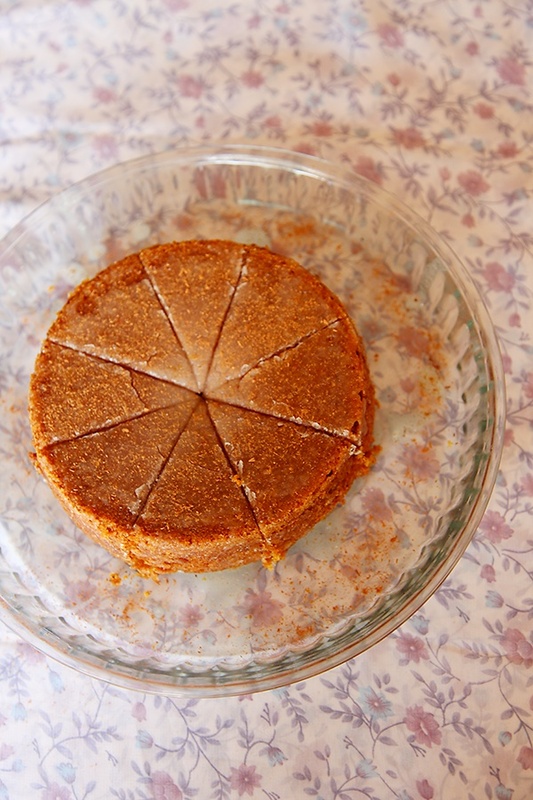 kashish- If you used more apple puree than mentioned in the recipe, it will affect the texture of the cake. Please follow the recipe correctly for good results. Hi Anushruti, tried your recipe for the brownie ,it was lovely..just a query for this recipe,do we have to bake this cake at 150C/ for an hour ? I'm a bit new to baking hence the doubt..thank you n as I've said before really a beautiful site..a vegetarians paradise !!! All the best…..
N also can we use 7" square tin instead of round ? Thank you..
Pooja- Dont worry, just follow the recipe and you will be good to go! Good luck! Pooja- Yes you can use a 7" square tin, but your pieces will not have much height. A 6" square tin would be perfect. Hope you are doing good. I would like to know if I can make this cake in a pressure cooker. I have tried other chocolate cakes in a cooker so wanted to make sure I can use for this one too since I donot have access to an oven for now. Pictures are beautiful. Ganesh: I have not tried making this in a pressure cooker. But if you have had success with other cakes, then you could give this a try!